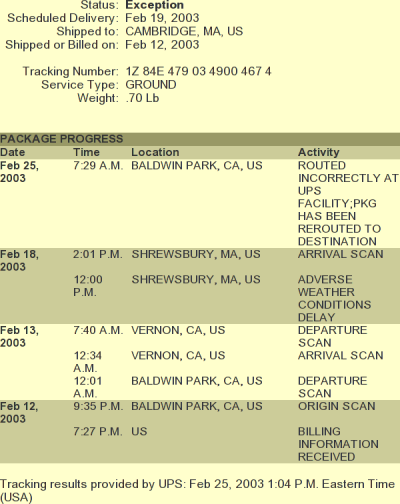 Sometimes, I GODDAMN HATE UPS. it's ram that I ordered for my new tivo machine, but was busted. This is the replacement. until I get it my new computer sits unused. Cambridge eh, I am about 5 minutes from there. Harvard Square is nice.